As America’s first Renaissance Man, Benjamin Franklin’s contributions to America can’t be understated. 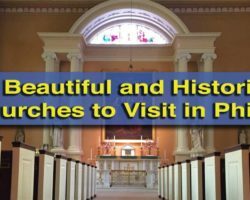 Spanning politics, infrastructure, and science, Franklin was America’s first Renaissance Man, and one of the most important founders of the country. 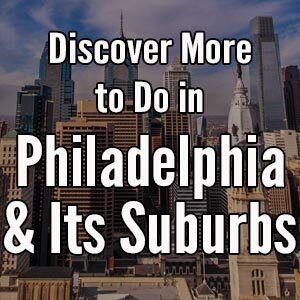 Today, there are several different places around the city of Philadelphia where you can learn more about Benjamin Franklin. However, at the Franklin Institute, you don’t just learn about him, you can experience his legacy. 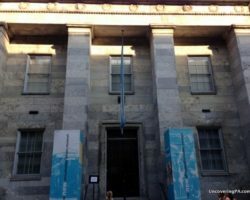 The Franklin Institute is housed in a grand building fronted with Corinthian columns that wouldn’t look out of place among the monuments and museums of Washington, DC. Walking through the massive entrance, you can’t help but notice the Benjamin Franklin National Memorial, the official national monument to Franklin. Sitting in the middle of a grand rotunda modeled after the Pantheon in Rome, the 20-foot tall statue of Franklin is quite beautiful, but seems a bit small given the size of the room. 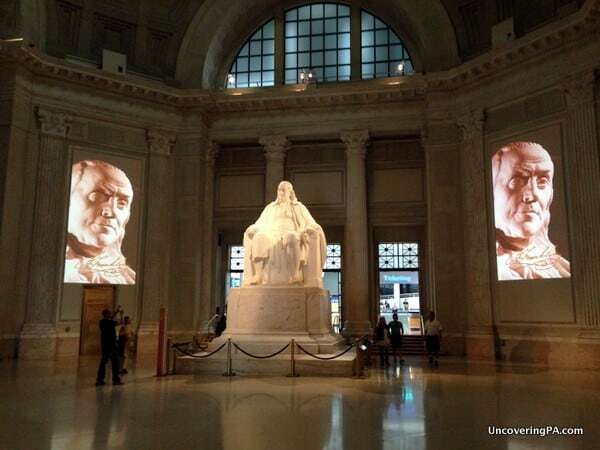 The Benjamin Franklin National Memorial is free to visit, so it’s worth stopping by for a quick look even if you don’t plan on visiting the Franklin Institute’s Science Museum. The Benjamin Franklin National Memorial just inside the entrance of the Franklin Institute. After paying your respects to Benjamin Franklin, continue your visit by making your way into the museum’s foyer. 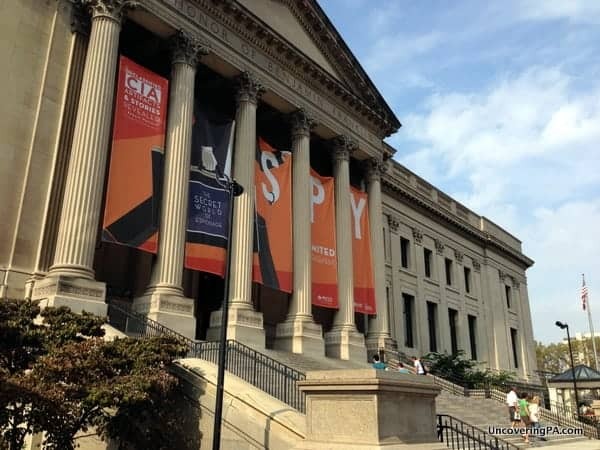 Opened along with the Institute’s current location in 1934, the Franklin Institute’s Science Museum is one of the world’s oldest museums devoted to learning about the world around us. 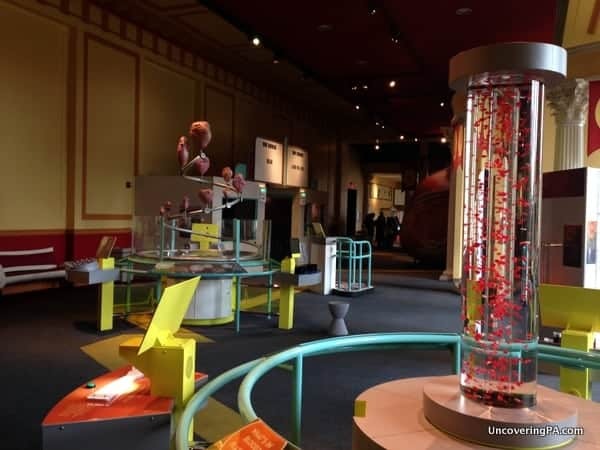 Like many science museums around the world, the Franklin Institute is primarily focused on hands-on science activities for kids. 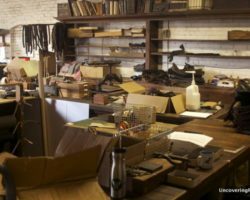 Covering subjects such as space, health, sports, and the environment, the science museum should have something to make even the most apathetic kids enjoy their visit. On the main floor, one highlight is a giant heart that would be the perfect size for the Statue of Liberty. With a walking path that’s just big enough for an adult to squeeze through, the heart does a great job showing kids how a heart works to keep them alive. Science activities area related to help kids learn about how to body works. Another highlight at the museum is the planetarium, the second oldest in the western hemisphere. The planetarium currently runs four different shows, and is included in the standard admission price to the museum. While not all the planetarium shows are 100% about stars, they all discuss space and use the domed screen to uniquely display the presentation. I also really enjoyed the Sports Challenge section of the museum, which features a variety of interactive sports exhibits. Featuring a baseball throwing speed gun, a interactive soccer ball challenge, and activities related to many other sports, this is an area that would have certainly entertained me when I was a kid (Truthfully, I spent a decent amount of time there as an adult). Located next to the Sports Challenge is a display featuring 50 of National Geographic’s best pictures and a placard explaining the story behind them. This is a fascinating area for anyone interested some of the best photos ever taken, but is definitely geared more towards adult visitors than kids. 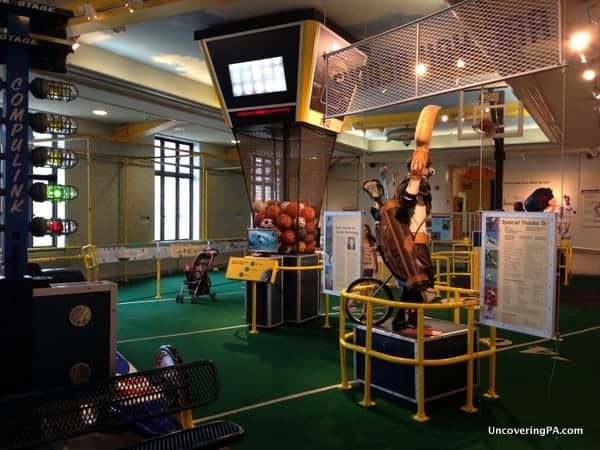 The Sports Challenge Area at the Franklin Institute. Overall, I really enjoyed the Science Museum at the Franklin Institute. Truthfully, it’s not the best science museum that I’ve ever been to, but it’s definitely a great place for any curious kids to visit. 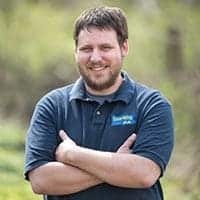 If you’re in Philadelphia and looking for something non-historical to do with kids, I would definitely recommend a visit to the Franklin Institute’s Science Museum. When visiting, bear in mind that the museum ticket doesn’t include admission to all attractions. Exhibits us as the 4D Movie Theater, flight simulators, IMAX Theater, and the SkyBike cost extra. There is also a large temporary exhibit area at the museum. This exhibit area is an additional cost to your museum ticket. 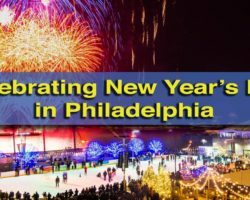 Cost and hours for the special exhibits can be found on the Franklin Institute website. Note: My visit to the Franklin Institute was sponsored by Visit Philadelphia. However, all opinions expressed in the article are my own and haven’t been subject to review.